Orange Blossom Retreat est une maison d'hôtes élégante et abordable avec un charme du vieux monde gracieux, confortable et royale. Offrez-vous et vivez comme des rois tout en profitant de l'ambiance et du cadre paisible de la magnifique vallée de Kangourou. Orange Blossom Retreat est votre destination de vacances idéale. Orange Blossom Retreat a été récemment rénové avec aucune dépense épargnée. Les deux chambres sont grandes et spacieuses avec des draps de haute qualité fourni. La retraite est privé et situé sur un acre de beaux jardins de cottage complets avec piscine. A votre arrivée vous recevrez une bouteille de vin rouge ou blanc ou champagne. Vous trouverez également un délicieux panier de petit-déjeuner composé de pain et de muesli et d'autres céréales pour le petit-déjeuner et des fruits frais. Orange Blossom Retreat est à seulement 10 minutes à pied des cafés et des boutiques de Kangaroo Valley Village et dans une agréable promenade de la rivière Kangaroo vierge et le célèbre pont Hampden. Que vous soyez à la recherche d'un week-end romantique ou pour partager un week-end avec la famille et les amis Orange Blossom Retreat est votre destination de vacances idéale. A quint little place with a lovely atmosphere. Great for a few days in the country. The owner had left a nice bottle of wine and a loaf of sourdough for us to enjoy which was a thoughtful touch. The only negative for me was that I could sometimes hear the cars passing down on the road. It's not a major issue but a point to note. There was a good sized pool for those that fancy a dip too. A short ten minute stroll and you are in the heart of the town with lots of cafes and interesting shops to explore. We had an amazing time at Orange Blossom Retreat the whole place emanates peace and beauty both in the retreat and in the garden. We so enjoyed everything at Orange Blossom when we arrived the atmospheric lights were on, so was the warm fire and there was beautiful music playing. We enjoyed a bottle of champagne and chocolates which was left for us this made us feel special.We were also given some locally made sour dough bread which was delicious. Just everything about the place was a delight. 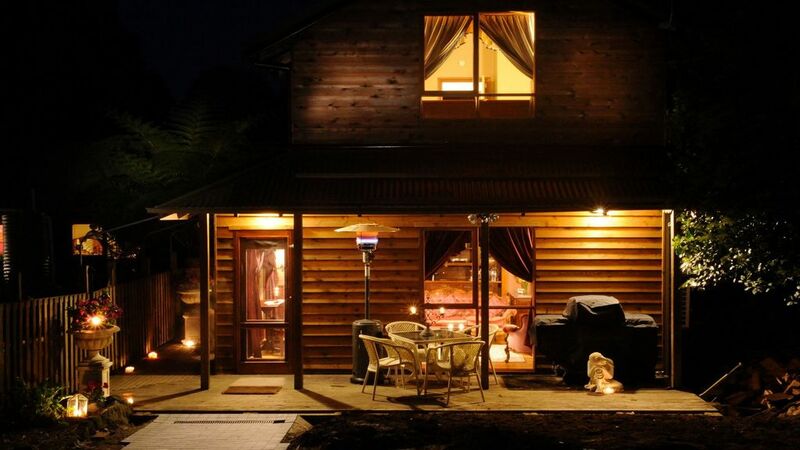 We will be recommending Orange Blossom Retreat to all our friends and will be back for sure. Thank you so much for your great review. I am so glad you enjoyed Orange Blossom Retreat. You were great guests. You are welcome back anytime. easy to deal with hosts, good spot and very comfortable. would recommend. Thank you so much for your lovely feedback about your stay at Orange Blossom Retreat. I feel so happy that you enjoyed it. You were delightful guests to have. Thank you so much for the good review. I am so glad you enjoyed yourselves at Orange Blossom Retreat. We enjoyed our stay and had a great time!! Thank you for your review. I am so glad you felt the peace Of Orange Blossom Retreat and had a great time. First of all Nerolie is such a gem, very lovely and welcoming. The retreat itself was exactly that - a retreat. Very peaceful, warm and comfortable. You scored 10 out of 10 as guests. You were great. You were very respectful of Orange Blossom and I am so glad you appreciated it so much.